I love to write, but I can’t write all the things. There just isn’t time. I have always wanted to gear my blog toward the people who read my books. But surprise! Fans of my fiction don’t seem to care about blogs. Frankly, I don’t blame them. I don’t read the blogs of fiction writers either. As a result, I ended up writing blog posts more geared to writers than to readers of my novels. That’s not a bad thing, but it was not what I originally intended to do. I wanted–and still want–to write to readers! I have come to realize that readers of fiction want to read more fiction. Who knew? It makes sense that readers want more stories. More Julia and Vincent getting tangled up in fraud and murder. Or Tripp flirting his way to the truth. Or more Mr. Darcy being charmingly rude. And that’s what I want to write too! I tried doing a serial novel on my blog when I published an unedited version of Dead Inside, an urban fantasy I wrote a few years back. While I garnered more blog readers, I had a hard time getting the word out when a new chapter was posted. Adding an email notification list helped, but people still had to navigate to my blog to read. So rather than continuing to try to find an audience and then actually get them to my blog, I want to focus my time and energy writing what I want to write and what existing readers want to read. That’s why this is my last blog post. I’m going to focus on writing the next Mercer Murder. 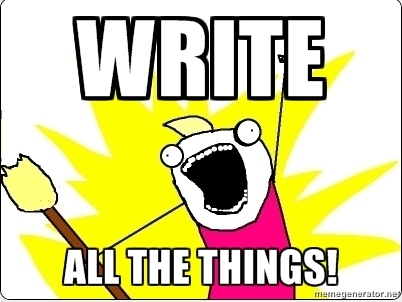 But I’d like to start sharing more of my writing process. Not the writer-geared stuff that I’ve been sharing, like whether or not I do a formal outline or tips on how to format an ebook. Instead, I want to talk about the things that naturally occur in the process of novel writing. I want to share pictures from my research trips and stories about how I learned to hot wire cars. (Yes, I can hot wire one very specific type of car. So if you own a GM vehicle from the 1970s to the early 1980s, you’d better watch out!) I want to give occasional updates on my writing progress and show pictures of my home office remodel. I want to talk about the women’s self defense class I took, my trip the Writers’ Police Academy, or the classes I take to learn about the real-life jobs I write about. But I also want to share more than just my research and work. I’d like to talk about the things I do alongside my novel writing, like fangirling over TV shows or playing with my horse, Darcy. (Aside: I never had a dog or cat as a kid. Parents, let this serve as a lesson to you. Buy your kid a puppy or kitty now, or they will rebel as adults and get the biggest pet they can find.) I may even admit some of the embarrassing stuff I do when no one is watching (like obsessing over old sitcoms or my shameless addiction to Mexican Coke). Does a peek behind the curtain sound interesting? If so, I want to make it easy to find and enjoyable to read. I don’t want to end up with another blog that has to be updated every few days, but no one has time to read. Ain’t nobody got time for that! 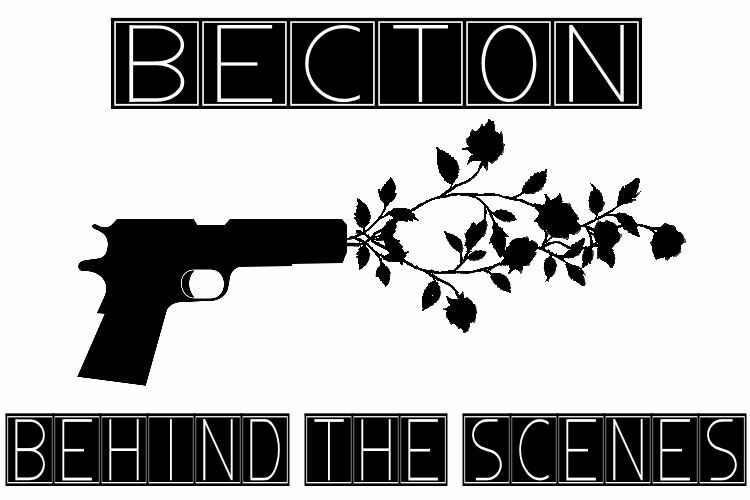 That’s why I’m starting Becton Behind the Scenes, a monthly email newsletter that will come straight to your inbox. You don’t have to pay attention to social media announcements about new posts or go anywhere special to read. [Insert Overly Articulate Commercial Voice Here] Johnny, tell them what they’ll win…. If you sign up for Becton BTS, you’ll get a copy of “Cancellation Notice,” the prequel to Absolute Liability, formatted for Kindle. Plus, you’ll get some Southern Fraud swag and exclusive access to brand-new deleted scenes from forthcoming Mercer Murders. sneak peeks at new releases and special editions. tips for how to get more books for less money. I hope you’ll join Becton BTS. Not only will you get to know me better, but I hope to get to know you too. Every newsletter will end with a question about what you like to read, watch, or even eat. I’ll answer too. In the meantime, I’ll be working on Mercer Murders. I hope to hear from you soon! Yes, by all means, write. More. Fiction. I’m looking forward to the newsletter. And the new books!